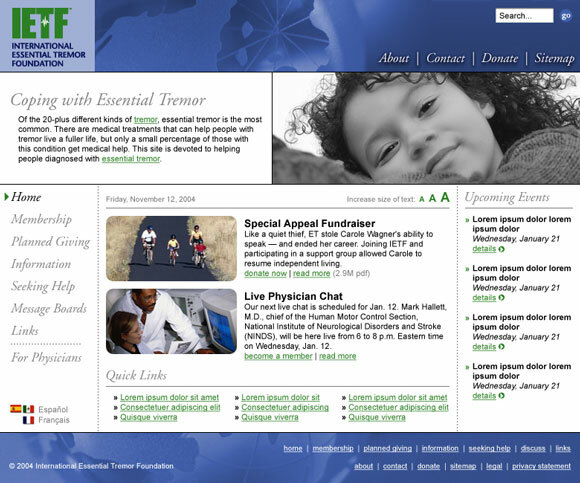 A website design and development effort for the International Essential Tremor Foundation. This project involved creating a PHP-based back-end for managing content in the days before WordPress was widely used. 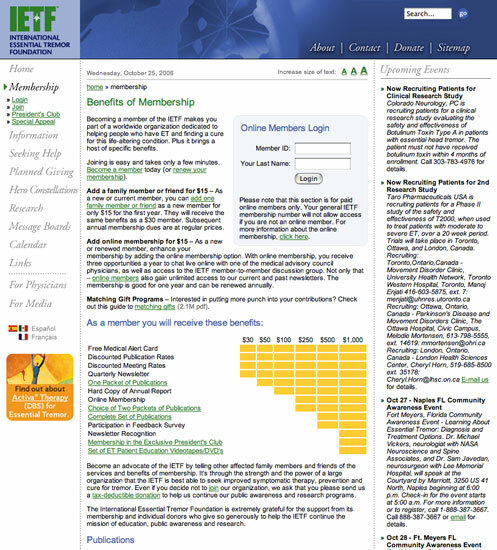 The system leveraged the existing code-base from my Alzheimer's Association website and featured user management, site search, WYSIWYG content editing, asset management, and more. 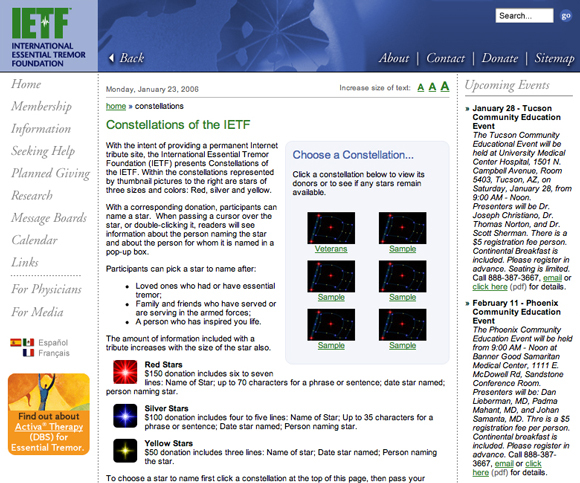 In 2006, a feature was added that allowed donors to purchase honorary constellations. I designed the front-end, and developer David Woods built the back-end using Adobe's Flex framework. 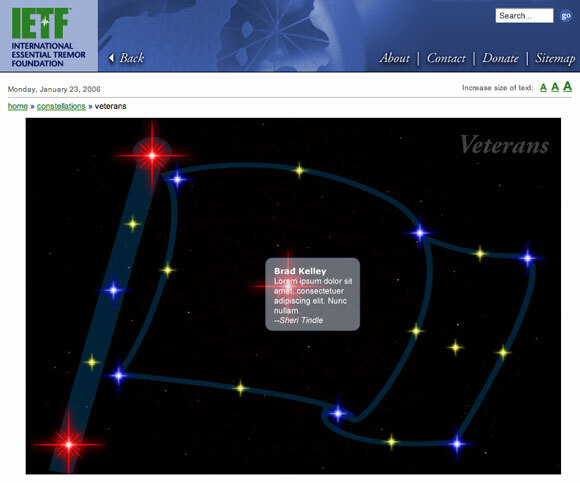 Update: This site has since been redesigned and rebuilt.